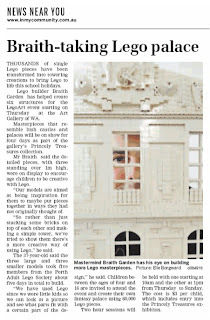 The Guardian Express has done an article on our models on display for the Art Gallery's LegoArt event. It is in the October 4th edition on page 7. 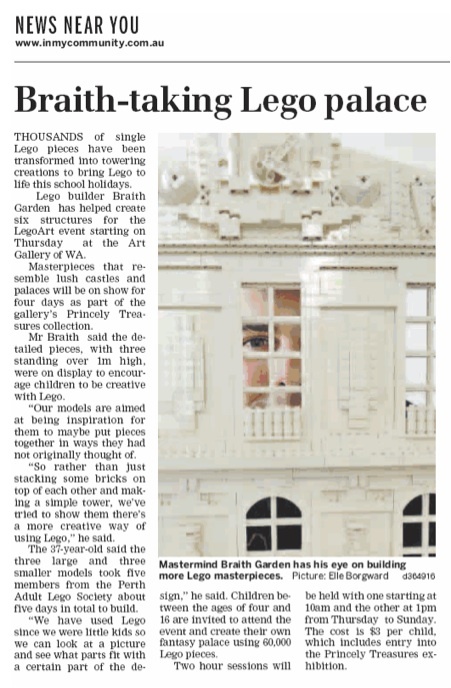 The LegoArt event starts on Thursday, October 6th and lasts until Sunday. See the article here.